The adventures of Pigsticks, the world's most optimistic pig, and his sidekick Harold, an over-anxious hamster. 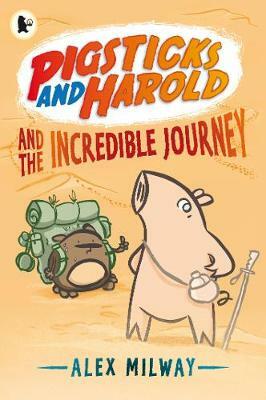 Pigsticks and Harold set off on a journey to the Ends of the Earth armed only with a sense of adventure (Pigsticks'), common sense (Harold's), and a lot of cake. They pick their way through jungles, trek across deserts and climb a huge mountain, but the Ends of the Earth are always just out of reach. When their last crumb of cake is stolen and it doesn't look like they'll ever make it home again, they finally find the Ends of the Earth - in the last place they'd ever think to look.